Healed injuries on the skeleton of BIG AL TWO point to the rough life of this Jurassic theropod. It is one of the few dinosaur specimens preserved with possible evidence of its last meal (a small herbivorous dinosaur ischium, a lungfish tooth, a gastrolith, and some bone fragments). Allosaurus hunted dinosaurs smaller than itself, like Camptosaurus and Othnielia, and there is evidence to suggest it also fed on the giant sauropods, Diplodocus, Pleurocoelus, and Camarasaurus. Although BIG AL TWO was clearly a hunter, like all carnivores, it probably supplemented its diet with carrion. BIG AL TWO is one of the most complete Allosaurus skeletons ever collected, and was discovered in 1996 by a field crew led by Kirby (Hans Jakob) Siber, of Siber & Siber, Ltd. (Aathal-Seegraben, Switzerland). BIG AL TWO was collected from the famous Howe Ranch near Shell, Wyoming, and was prepared and mounted by Ben Pabst and crew from Siber & Siber, Ltd. BIG AL TWO's original skeleton has been exhibited in Europe and Japan and is now on permanent display in the Saurier Museum, near Zurich, Switzerland. Unique features of the skull indicate that BIG AL TWO may be an undescribed species. Black Hills Institute staff sculpted the missing bones and created molds to make cast replica skeletons. 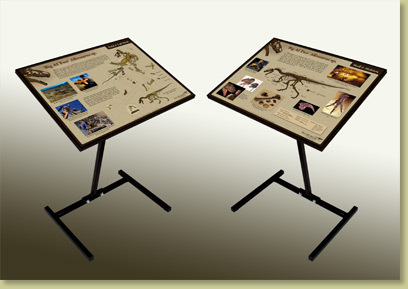 Create your own dynamic display by including this phenomenal creature with Jurassic contemporaries or other theropod dinosaurs. Skeleton can be mounted in a variety of anatomically correct poses.